Steve and his wife Bonnie are heading off to France tomorrow, visiting many of the same places that Joan and I saw just a couple of weeks ago. 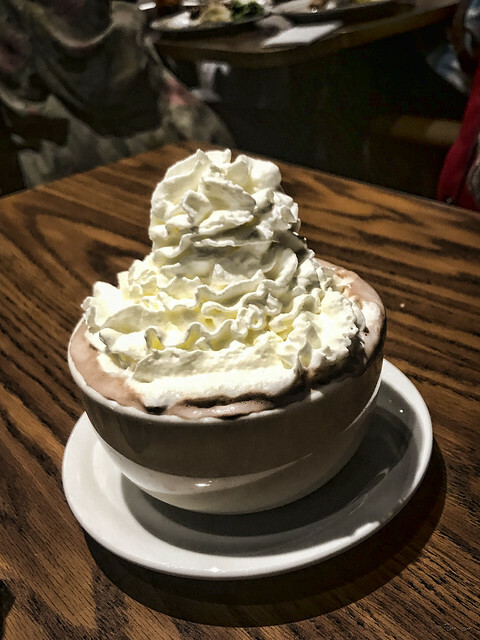 So we met at Mimi's tonight to share some information and tips, over a cup of hot chocolate with an extra portion of whipped cream. "I love days when my only problem is coffee or chocolate."